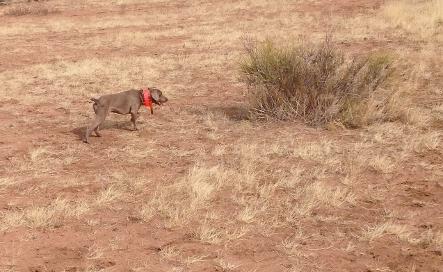 In addition to our 5 weims, we have 3 promising girls from a recent litter whom we are pretty excited about. Mya, Bri and Penny are from Murphy’s last litter (born 12/26/11) and are all staying around for a while so that we can fully evaluate their field potential. 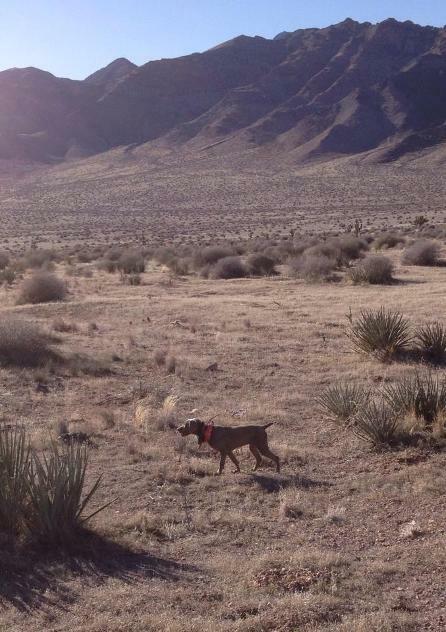 Currently, Bri and Penny are having fun in the sun at Winter Camp in New Mexico. 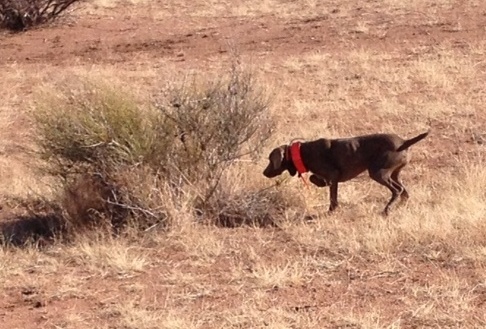 Here they are learning to run and hunt with the best of them. Their sister Mya is here at home having fun in our training fields. We look forward to seeing these girls compete this season!